Protest action against land ordinance: Call to end "corporate loot"
More than 350 organizations and networks of farmers, workers, and tribals from all the states of the country, represented by the National Alliance of People’s Movements (NAPM), the All Indian Union of Forest Working People (AIUFWP), the All India Kisan Sabha, the Narmada Bachao Andolan NBA), the Bharatiya Khet Mazdoor Union, Delhi Solidarity Group and others, participated in a well-attended protest action in Delhi against the Land Acquisition Ordinance, introduced in Parliament for enactment. 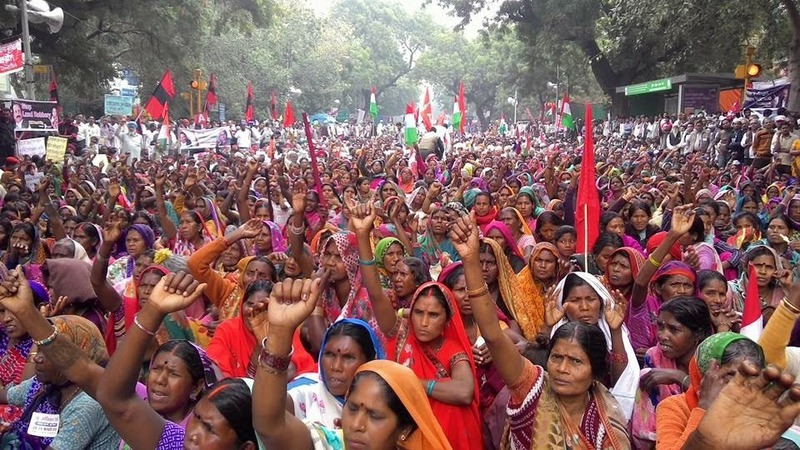 NBA leader Medha Patkar said the NDA government was refusing to act in accordance with the its electoral promises. “Now in power it is seeking to sniff away the soul of the Act, by removing the key provisions of consent and social impact assessment, and manipulating the definitions of private entities and public purpose”, purely to promote business interests”, she added. 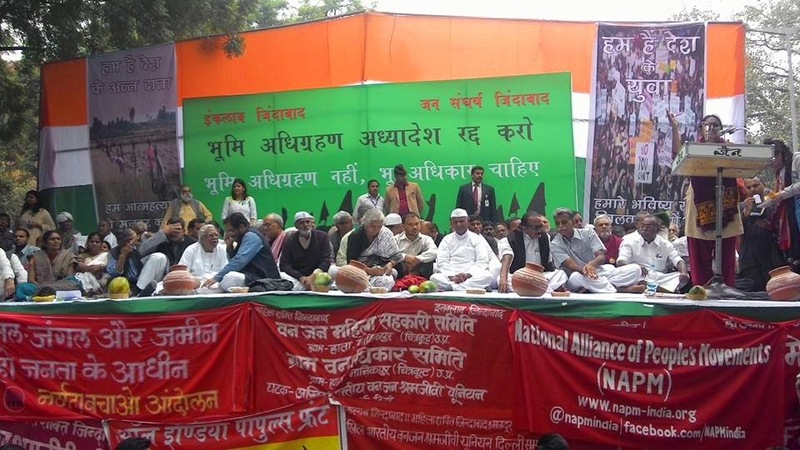 Communist leaders Hannan Mollah and Atul Anjan spoke about the need for united movement and said that the BJP-led NDA government had brought the “draconian” Ordinance to suit the interests of the corporate, builders’ lobby and land mafia.